Google has partnered with the French space agency, the Centre National d’Etudes Spatiales, to provide rural and remote areas of the world with Internet access. The partnership aims to reach higher ground with the Project Loon initiative. Project Loon is a Google research and development project with the mission of providing Internet access to rural and remote areas. The project uses high altitude balloons to create an aerial wireless network that project Wi-Fi signals. The balloons are solar powered and each is coordinated to make movements in a complex formation to provide continuous service. Google’s new approach on these balloons involves using technology with powerful satellites. Powerful satellites will provide more responsive Internet for the balloons to harness and spread. They rise more than 60,000 feet above the Earth’s surface, placing them far beyond the reach of airplanes and atmospheric storm systems. Satellite Internet is already becoming faster and more inexpensive at a steady rate. About 1.5 billion people get home Internet through a satellite connection, though only 0.2 percent of people in developed countries are connected through satellite. Google wants to launch 100,000 balloons into the stratosphere to offer free Internet access in remote and rural locations around the world, and retrieve them when they lose air and fall to the ground. To date, there are 75 Google balloons airborne, hovering somewhere near the far reaches of the Southern Hemisphere. These balloons automatically regulate their altitudes according to the algorithms to catch wind drafts and keep them on path. A majority of the world still lacks Internet access, even after the 1.8 billion people that joined the Internet in 2014. An astounding 4.4 billion people still have never been online. Internet access can benefit those in developing countries, especially those in India, where the population has more mobile phones than sanitary toilets. In India, over 1 billion people are still offline. Moreover, China’s massive population of 1.3 people may be iPhone-obsessed, but more than half of its population still remains disconnected. The Internet can be a useful tool for farmers, as access to the Internet allows farmers to be updated on constant climate changes, and projected problems in the seasons that may affect crop growth. Moreover, Internet access can also be a useful education tool used in schools for learning, and it can improve literacy rates. Google’s balloons may sound expensive, but research actually indicates that these balloons are cheaper than setting up and maintaining cell towers, and the balloons are also more effective to bring access to remote areas. 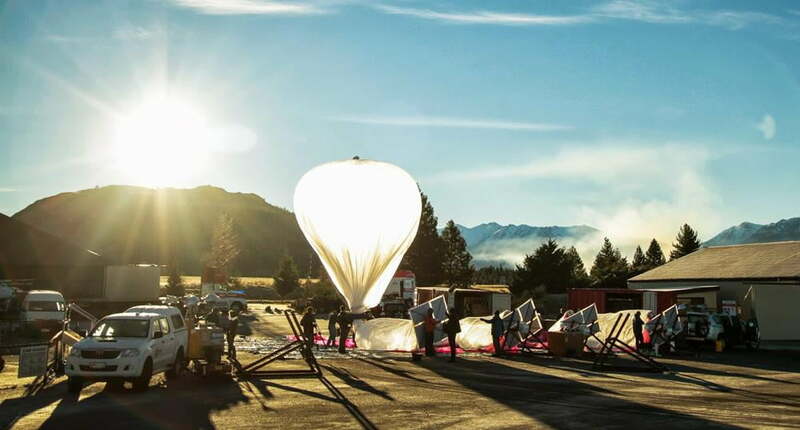 Although Google’s project has faced criticism and doubts along the process among Project Loon, Google notes that the next big step is testing how the balloons handle thousands of pounds of pressure. Google’s engineers have spent weeks trying to isolate any problems they had in the past with the balloons that are already hovering over vast remote areas. Google has the potential to deliver its promise of Internet access across the world and to regions that have been without it with precise research and design.